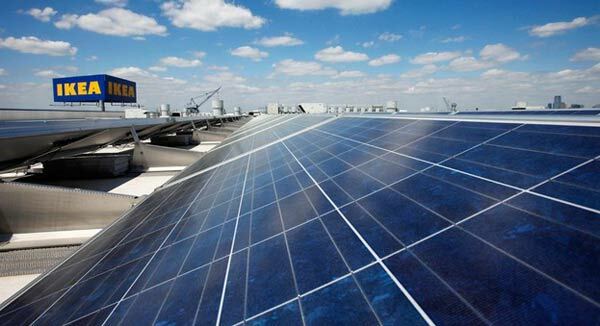 IKEA has started selling solar panel systems in the UK. Sales of the systems started yesterday in the Southampton store and we are told that other stores will follow suit in the coming months. A ‘standard’ 3.36 kilowatt system, including installation, will cost £5,700. The Swedish furniture superstore aims to cater for 70 per cent of its own energy needs using solar and wind generated power by 2015, moving to 100 per cent by 2020. With this new announcement it looks like IKEA wants to take the public along a similar journey. A standard 3.36 kilowatt system for a semi detached house (18 panels) is to cost £5,700 but that fee includes “in-store consultation and design service as well as installation, maintenance and energy monitoring service,” reports AP. IKEA’s systems are manufactured by China’s Hanergy. 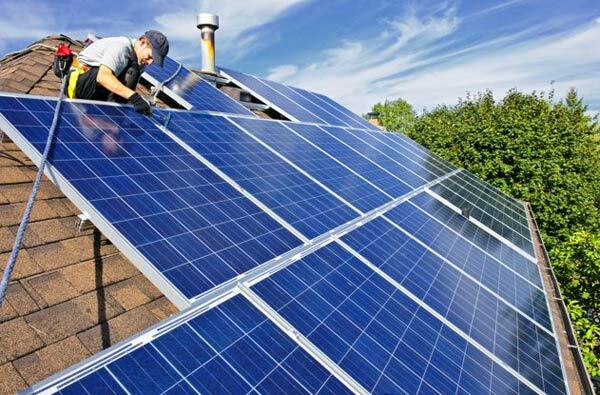 Chief Sustainability Officer at IKEA, Steve Howard, said that “In the past few years the prices on solar panels have dropped, so it's a really good price now.” He added that it was, in his opinion “the right time to go for the consumers”. Howard said that, for the average UK homeowner, the panels would pay for themselves in seven years of electricity bill savings. The UK was chosen as IKEA’s first for solar panel sales is it has an attractive combination of electricity prices and government incentives. That UK homeowners can also sell back electricity to the grid is also a bonus. They only ‘pay for themselves’ if you count the massive subsidies that the taxpayer and other leccy buyers are throwing at it. Relax Ed Millibands is going to fix that by setting price limits on electricity. Because its the £40 profit on the average energy bill not the £100+ subsidy payments that make energy bills so high. It is really important that the poorest in society pay for those rich enough to slap down some photovoltaics. Why wouldn't you include them? Having worked at a company that sells them a while back, it baffles me why people don't get them. You get paid to own them for 20 years, and they pay themselves off in around 5 on average. Problem I've got with them is that the folks selling them seem to be the same bunch of wide boy cowboys who were trying to punt double glazing, then conservatories, PPI, etc. I've also seen articles saying that the industry (i.e. the sellers and manufacturers) have (accidentally?) shortened the payback time - (conveniently?) forgetting that with increased focus on energy efficiency most folks are trying to reduce their electricity consumption. Lastly, I live in Scotland - so one of those vertical wind turbines makes a lot more sense than a photomosaic slapped on the loft! PS. Wonder if those increased efficiency PV's that the Fraunhofer folks announced will change the economic argument.